Making the perfect turkey can be trickier than it sounds. For the best results, you can't simply toss the turkey in a baking pan, put it in the oven and hope for the best. 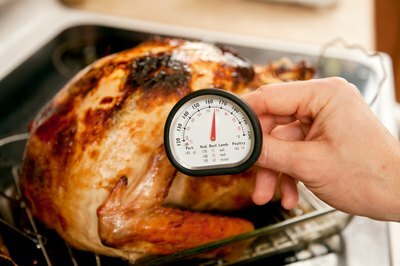 Knowing the exact temperature at which you should cook your turkey and the approximate amount of time for which you should cook it can make a huge difference in the final product. An 11-pound turkey, for example, will need to cook for a much shorter period than a 20-pound turkey, and would be severely overdone if you followed the directions for a bigger bird. 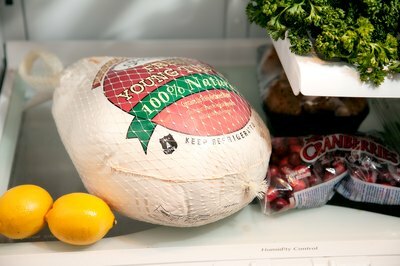 Move the turkey from the freezer to your refrigerator two to three days before you wish to use it. Larger turkeys can take up to nearly a week to defrost, but your 11-pound turkey should thaw within three days at the most. Make sure your turkey is refrigerated for the entire thawing process. Remove the turkey's innards (neck and giblets) and either save them if you'll make future use of them, or discard. 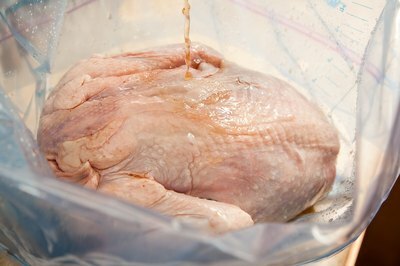 Brine the turkey for at least eight to 16 hours using the brining method and recipe of your choice. Prepare the turkey for the oven. You may choose to brine it (immerse it in a brining solution of your choosing) for eight to 16 hours if you have the desire and time. 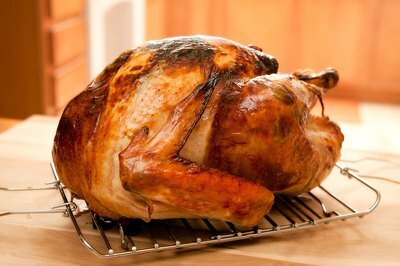 Preheat your oven to 500 degrees F. If you've brined the turkey, rinse it thoroughly and pat it dry. 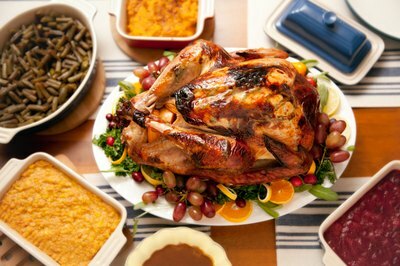 Smear butter or oil on either brined or unbrined turkeys. Some cooks like to place fresh herbs like rosemary in between the skin and the meat. Put the turkey on a rack in a shallow roasting pan. Roast it at 500 degrees for 20 to 30 minutes, then reduce the heat to 325 degrees. Roast the turkey for another three hours at 325 degrees. 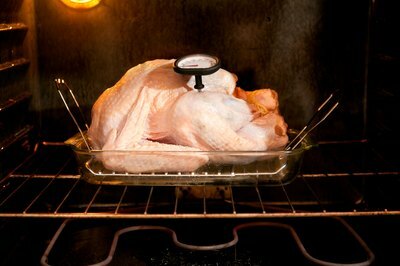 Check the turkey for doneness after two hours by inserting a meat thermometer into the thickest part of its thigh. Don't allow the thermometer to touch the bone. When it reads 180 degrees, your turkey is done. An 11-pound turkey should take no more than three hours, 40 minutes total to cook completely. Let the turkey rest at least 20 minutes before you carve it.